If you donât know the Greenwood neighborhood in Evergreen, youâre in for a pleasant surprise. Ideally located in Central Evergreen and nestled between the golf course and Three Sisters Park and Wilmot Elementary and award winning Evergreen High school, youâll find this quiet, paved idyllic neighborhood with large flat grassy yards and just-right beautiful homes with views. Walk to Evergreen Lake, to the park, golf, schools, rec center, downtown Evergreen, or get anywhere in minutes in your car or on your bike. Completely âon the gridâ you are connected to public water and sewer, available high speed cable internet, and natural gas. 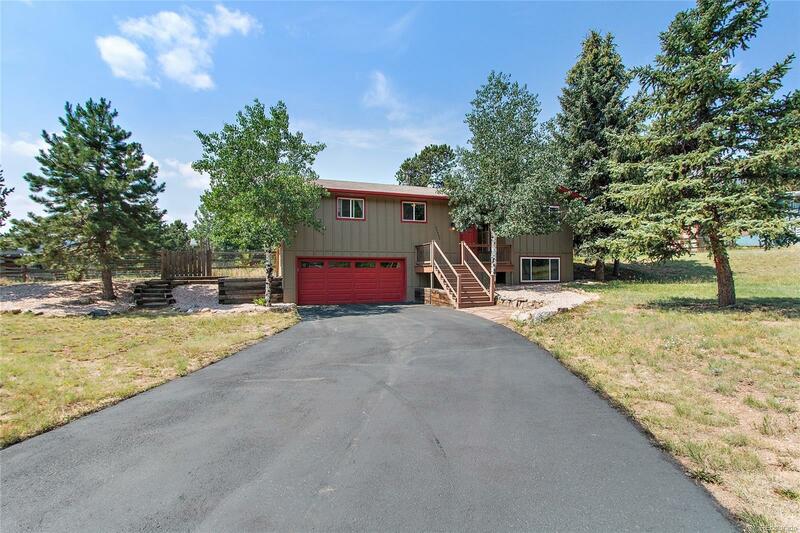 And the house â enjoy the photo tour and notice the renovated kitchen in the open great room with stainless appliances, the sun room with mountain views and vaulted ceilings, the wood floors and so much more. Itâs time to schedule your showing!